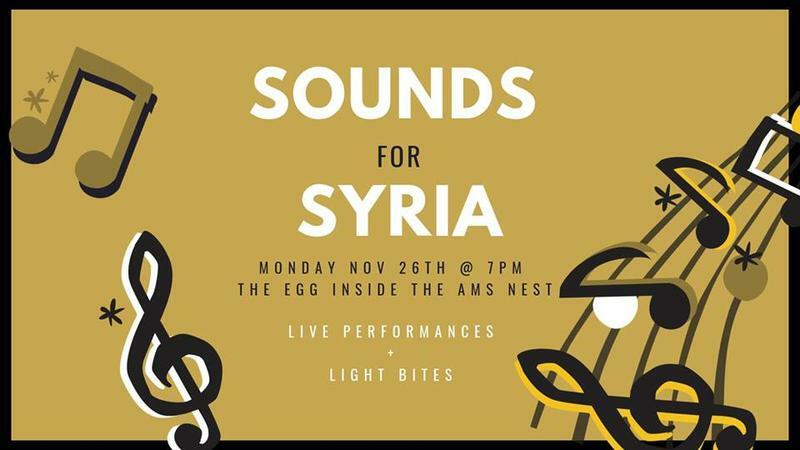 Sounds for Syria is an annual event which has been organized by the UBC AMS Refugee Relief Club since 2015. The event was initially created in reaction to the migration crisis that escalated in Europe that year. “The purpose of this event is showcase the talent here at UBC while advocating our thoughts,” said Faizan Maqbool, the event planner of AMS Refugee Relief. There will be music, including performances by bands from the Blank Vinyl Project and live poetry. Trinajstic also mentioned the important role that UBC plays for their club. Sounds for Syria is happening on November 26 from 7 p.m. to 1o p.m. in the Nest.